Attention thrill seekers, Acura wants you to win a specialized prize package tailored to your kind of thrill. Acura collaborated with ten editors and web personalities to create ten different Thrill Kit experiences, each one brings the thrill of the TLX to life in a unique way. Of the 10 Thrill Kits up for grabs, my personal pick would be the Ruben Hughes Thrill Kit which includes a DJI Phantom 2 Vision+ Quadcopter, Google Glass Explorer Edition glasses, a Leica D-LUX 6 Digital Camera and a Lexdray Boulder Pack backpack. With a Phantom 2 Vision Quadcopter aerial drone I could literally take my Acura photography to a higher level – from the skies! 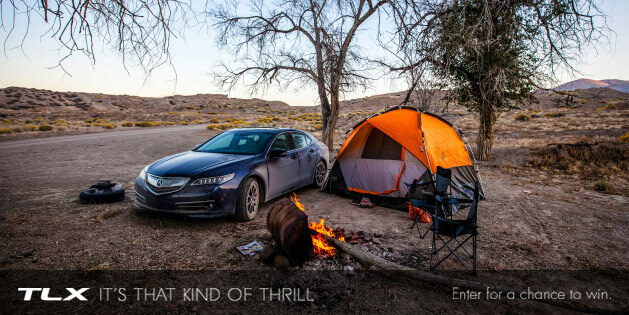 Check out all ten Thrill Kits and enter for a chance to win at acura.com – The Acura TLX “It’s That Kind of Thrill” Sweepstakes.